Chose a pillow and measure it. 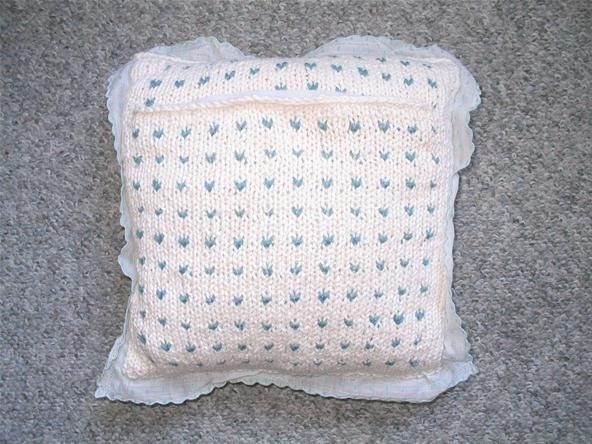 Knit a piece that will fit 1/2 or 2/3 of the pillow. Knit another piece that is slightly longer than what's needed to cover the pillow. Sew the pieces together, leaving the opening to slide the pillow in. Sew the hankie onto the pieces. You can add Velcro to hold the pieces together, if desired. If the pillow is for the home, add decorative buttons on the back. 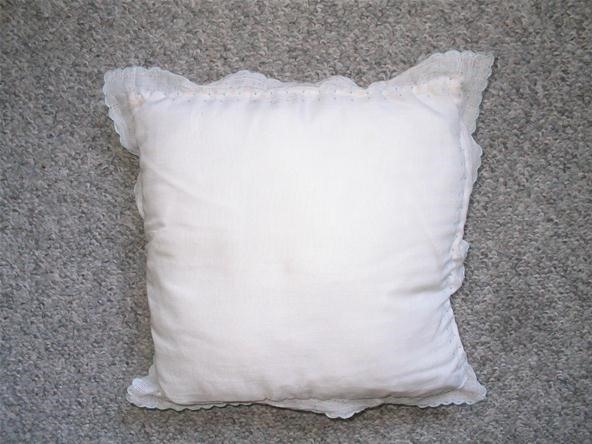 Here's the pillow front. Unfortunately, you can't see the sweet little blue flowers on the hankie.